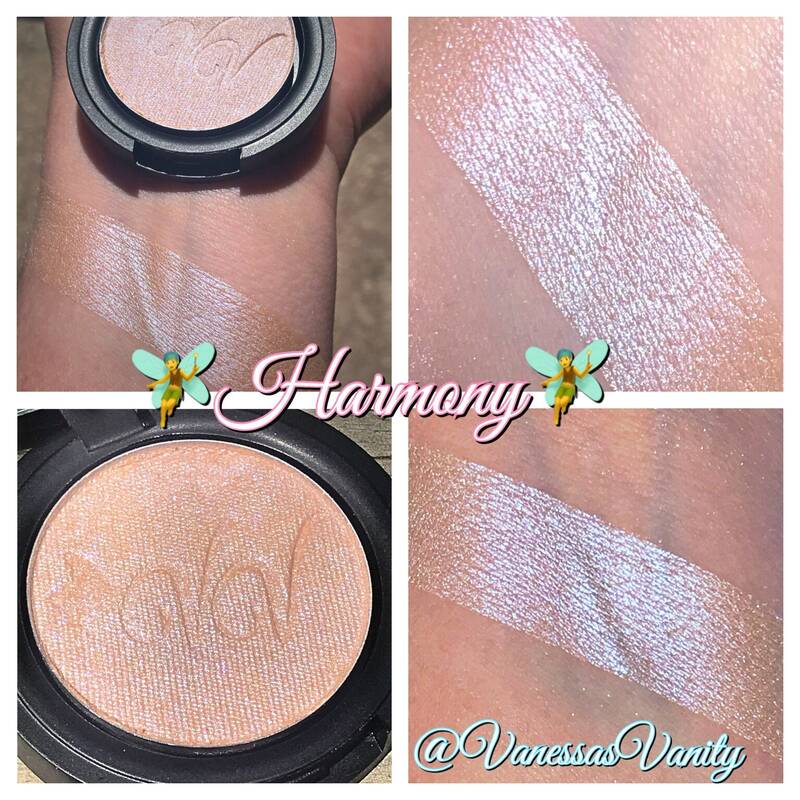 🧚‍♂️HARMONY🧚‍♂️ Is a subtle satin finish highlighter that looks Peach in the pan but melts into the skin with a translucent base and shifts into a purple / baby blue color. Beautiful on all skin tones. No “glitter” in this one.. only subtle reflects when the light hits. May be worn soft and sheer for a more natural look or built up to full opacity. 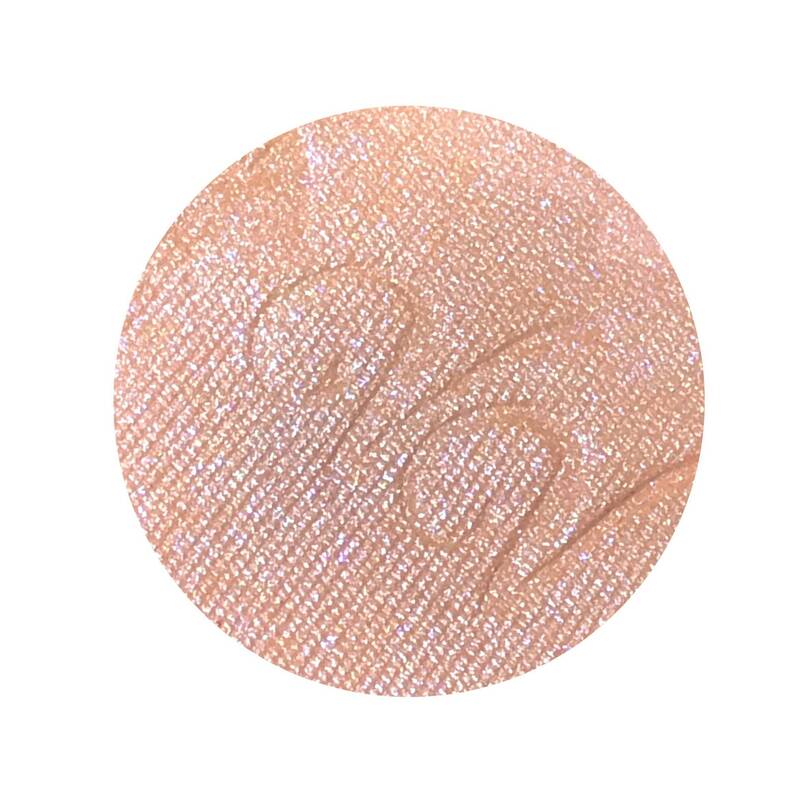 May be worn as an eyeshadow as well!